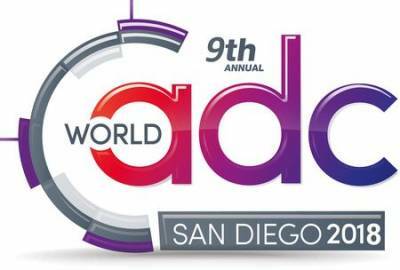 World ADC San Diego is the industry's longest standing and most comprehensive antibody-drug conjugate conference. The value that this leading ADC event provides you is the power of insight and the connections to develop more clinically impactful ADCs. Across multiple-streams of learning, World ADC will cover every element of ADC drug development from construct design to improving preclinical predictability and product manufacturability. This leading antibody-drug conjugate event will provide you with an unparalleled breadth and depth of content. You'll hear from 90+ industry expert speakers who will give detailed presentations on; confidently predicting clinical toxicities preclinically; ADCs in combination with immuno-oncology agents and discovering the application outside oncology. Don't miss this opportunity to join your fellow scientists at the heart of the ADC community. Join 650+ of your peers, from 220 organizations for your most valuable ADC learning and networking opportunity of 2018.